The restaurant «Virginia» offers traditional hospitality and quality accommodation. 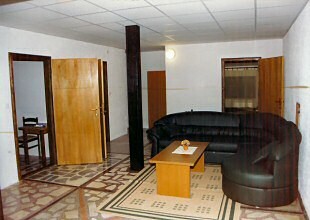 For rest and staying overnight there are double rooms available, furnished in a modern and a rustic styles. 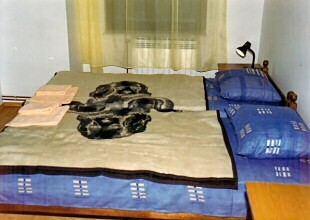 Altogether there are five en-suite air-conditioned bedrooms which ensure a pleasant atmosphere at any time of the year. 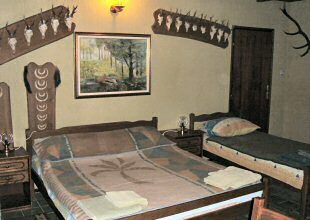 For those who enjoy hunting, there is a hunter's themed suite with the air of the wild. We pay special attention to hygiene and cleanliness, for which our regular guests give us credit for. Breakfast is included in the price of bed. Our personnel will offer you a rich choice of dishes and beverages to your liking. Bed and breakfast can be paid in cash, by bank transfer or by credit card.